ZoneAlarm is an experienced security software provider which delivers leading solutions to protect users from ransomware, phishing attacks, viruses, spyware and other cyber threats. The company is found in 1997 and has rich experience in security industry. It has been trusted by millions of worldwide users. This service provides award-winning products at friendly price. Home PC users can expect enterprise-grade protection from this service. It uses a powerful firewall to safeguard you against direct attack. You will get zero-day attack protection against known and unknown attacks. 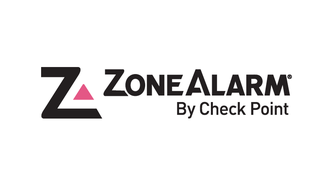 ZoneAlarm offers web and email monitoring, network file scanning, mailbox file scanning, real-time cloud protection and more to keep you safe from the latest threats. Advanced Anti-Phishing protection and 100% virus-free guarantee are available. It is able to detect and block Ransomware threats to prevent loss. This security product also offers online backup and Identity Lock. If your files are corrupted by malware, you can restore the backup files immediately. It allows you to store important data in the data vault. Your data will be encrypted and stay safe. With ZoneAlarm, your PC will be clean from malware and your data will stay safe. If you are looking for powerful anti-ransomware, antivirus software, firewall and additional virus protection solutions, ZoneAlarm is the product you need. Backblaze Review 2019 – Is It Secure? Carbonite Review 2019 – The Easy & Affordable Way to Back Up? Acronis True Image Review 2019 – The Fastest Backup Service? 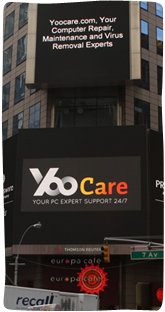 Problems with your PC, Mac or mobile device? Thanks for using YooCare Services! Here're some of the support team members who are passionate about their works and support our customers 24/7.